The weather was lovely. I took some of my white rick rack and cotton tape and over dyed them with tan Rit dye. 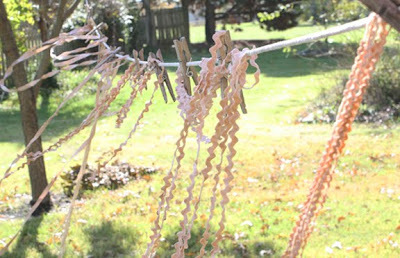 They are hanging on my string clothesline to dry. 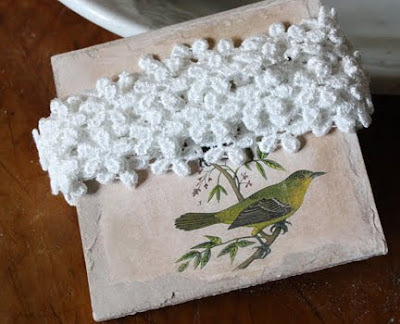 Then I got my favorite glue (PVA glue from Paper Source), a sponge brush, sanding paper, chip board (a heavy cardboard), and a piece of decorative paper. I used a piece of music paper. I cut the chip board about 2 1/2" x 1 3/4" with my rotary cutter. You have to press the blade firmly to cut through this thick cardboard. 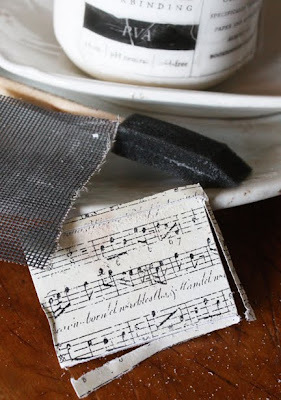 I spread the glue on the chip board with my sponge brush and glued the musical paper in place. The picture above shows the back side of the chipboard. 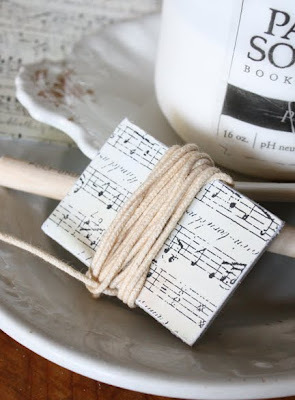 You can tell from this photo that the musical paper was not cut exactly. 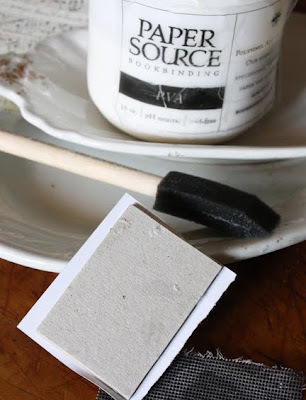 Use the sand "paper" to sand the edges until the excess paper comes away and is flush with the chip board edge. This sand paper is really some kind of netted material my husband purchased. 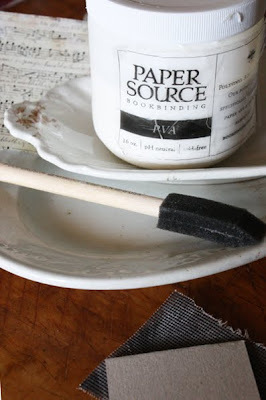 The regular sand paper is my favorite...but this works well too. After the edges are sanded away I wrap my trim around the card. Now it's ready for my sewing box. This trim is one I purchased at quilt market. It is cotton cording for candle wicks. I couldn't resist purchasing it. I thought it would be a great finish to some of my pincushions. Who knew candle wicking could be so attractive to me at market? It was one of my favorite finds. Here is a trim card I made several years ago. It's a color copy of a picture of my husband when he was eight. I have him "all wrapped up!" It's one of my favorites. This was some wrapping paper that I couldn't throw away. It had to have another use. Now it's holding my rick rack. I love old bird prints. This is a reduced color copy of one of my favorites. The perfect backdrop for my daisy trim. Now you know I'm loosing it don't you? I just can't help it. When I get done the trims look so sweet in my sewing box....the problem is they look so great I don't want to use them. We will not have a fall quilt book. The pattern Wild Pomegranate is it until spring....we will then have a spring book published by the Kansas City Star. The quilt from the beach will be in the spring book. Loose Feathers will be released in November too. There is an error in Joyeux Noel. E-mail me and I will send the missing pattern to you. I uploaded one of Niki's strawberries twice. I'm really sorry...but have a pdf to correct it. I know you will want to make her cute berries! I have purchased the booklet- Joyeux Noel. Please send me the correction. Please send me the correction. Where is this booklet available? I'd love to have it. Of course I have Joyeux Noel:) It's lovely......please send correction to rebw41@hotmail.com. Thanks! 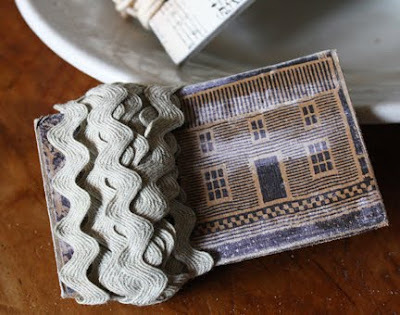 What a wonderful idea and gives your trims a vintage look. I love Joyeux Noel. Wait, there's a mistake? But it's perfect! Please send me the correction though, just to be safe. I love your trim cards, and thanks for posting instructions to make them. I don't have Joyeux Noel yet, but I will email you when I do. Hope you have another fun day tomorrow. Alma, I also got Joyeux Noel. If you could send me the correct at katrina@thepcsweb.com. Thank you so much. I am looking forward to the stockings and new loose feather chart. I have to agree that it's perfect - I can't find a duplication in it at all. My email address is stephnie114@yahoo.com. Thanks Kathy! Oh, I just got the book today and didn't notice anything wrong, but please email the correction anyway :-) thanks so much! Now don't "beat yourself up" because you were playing in the glue and dye, it's just your creative juices flowing.....girl can't help it! Besides, we love seeing all of your wonderful ideas. I too have purchased Joyeux Noel and would love the email correction. Thank you! Hi Alma, I have also bought 'Joyeux Noel' which I love. Please send me the correction. Thanks. It is wonderful to know I am not alone. I too make trim cards for all my ribbons and trims, and yes they do look lovely in my sewing box. Thanks for letting me know I am not the only one addicted to organization. I purchased your Joyeux Noel booklet at my LNS market party. What a delightful collection of patterns. Please send me the correction. I love your trim cards! And I think you chose a wonderful way to spend the day! I ordered Joyeux Noel too, so please could you send me the correction Alma. I bought Joyeux Noel last week and never noticed the error! Could you please send me the correct pattern for strawberry #3? Your trim cards are genius!!!!!! Can't wait to try that myself. Great idea. Thanks for sharing. I also bought the incredibly gorgeous Joyeux Noel. Love it so! Psst - I wont tell a soul what you did today. It sounds like fun. Love your trim card idea. They are really cute. I noticed that one of the strawberry patterns was printed twice. If you have a chance, could you mail me the third one? Thanks. also need the correction to Joyeaux Noel - Thanks! You're always so creative -- everything looks perfect, even your trim storage! I bought the Joyeux Noel book as well. Not sure of your email addy. Could you email me the correction? Thanks! I love your little cards! They're lovely! Thanks again for the great time at the Dyeing to Stitch retreat! Yes, please send the corrections as I am in love with the book. I love the new quilt pattern also. I have it on order from my lqs. Just shows you have a wonderful imagination and great ideas! Love what you did with the trims. I got your fabulous Joyeux Noel as an early birthday gift, so could you please send me a correction as well? Thanks! I received my copy from the US today - what a wonderful book!! Could you please send the correction to gio162@gmail.com ? Thanks in advance! I can't believe you have time to make those trim boards. They sure are cute! Please send me the correction for your book. thank you Alma for your answer to my question about stockings but i agree with you....those card boards are so lovely and what a fun in doing it. Needless to say that i can't stop to thank you for sharing with us your skills and your "secrets". 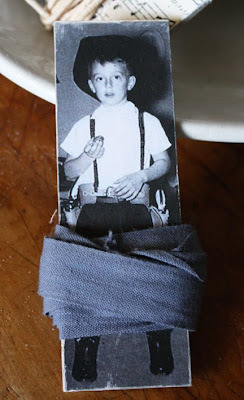 I love the trim cards - what a neat idea! I have purchased the Joyeux Noel book too - please send me the corrections. ps i loved it too! Those cards are such a great idea. Thanks for sharing. In my dreams, Alma, I win a week-long trip to your house, and we spend the whole time doing things just like you did today. LOL! Getting excited about the little things is so much fun. 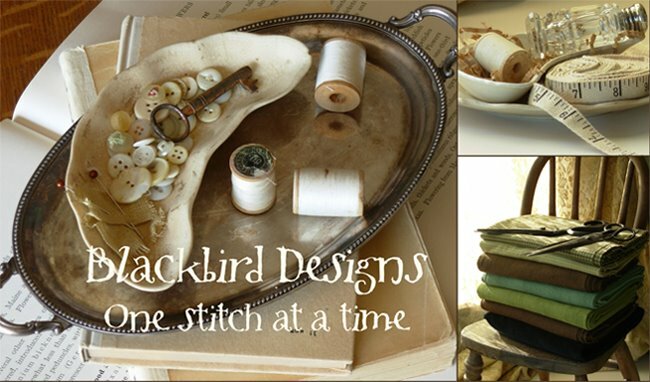 Love your thread cards...what a great idea! What a cute thread cards!! It seems easy...I will try...sure.. Thank you very much for such a great idea!! Please send me the correction, dipdiddly143@gmail.com . Thank You!! I love the trim card you made. My dad passed away 19 years ago, but I have a part of his cigarette box with DMC thread. The time (my trim card is 30 years old) has given it a vintage look. I would love if you would give us a tutoral on how to cover the boxes - I would love to attempt it but not without some guidance. thanks for all your lovely posts I enjoy each and every one. Your little cards are wonderful! I made a fabric covered box this weekend, so would like to try these, as well. Thanks for telling us about the new book not coming until the spring...now I will know not to drive myself crazy looking for it for a few more months! I can go back to my cross stitch and current quilting projects! what a beautiful blog! I can't wait to "back read" it all! In the Joyeux Noel, why is the page 3 dedicated to Katherine and not Kristine? not crazy... just detailed!! its better than the messy box i have.. some things tied together.. many not.. just a slew of color! !